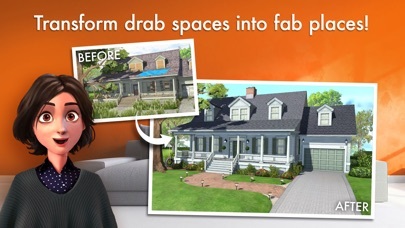 Home Design Makeover - App - App Rediscovered! Anything from Storm8 is just awful. 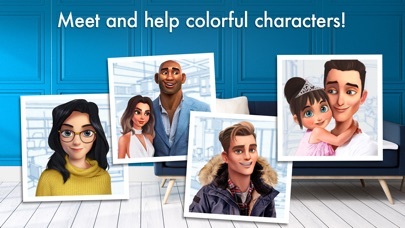 I uninstalled this game after Storm8 stole money from me in another of their useless apps. 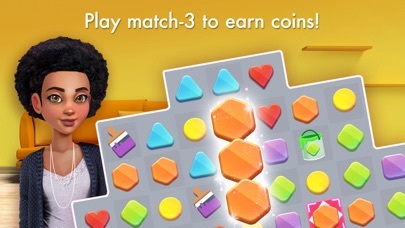 This app constantly makes it impossible to win gems and insist on you paying cash for their worthless goals. There’s no way to win gems. Storm8 does NOT care about customer service. Most apps respond instantly when you complain. Not Storm8. They could care less because they get more downloads whether you enjoy the game or not & downloads is how apps get paid. This is a horrible company & the culture must be as horrific as the service they provide. I don’t know why they’re successful other than they copy other games, get people addicted, & then treat the customers poorly. But doesn’t crack do the same? I hate this game & Storm8. 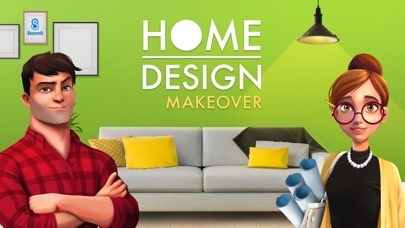 This game is getting increasingly harder and harder to earn coins to decorate your rooms. When you do finish a puzzle, you find you are just short a few dollars to add anything to your too , and have to do another. I’m on level 248. I really enjoy the game but I’m not spending real money for power ups especially when it takes 250 diamonds to get a power up and you have to pay $1.00 for 100 diamonds. There is no way to get power ups or diamonds without paying for them. Please add a way to get these playing the game or lower your prices. I’ve been playing this game for about 9 months now and I’m on level 2,500 something. I love it!! I love the limited time challenges and the beautiful rooms. The only thing I would recommend is when we receive a 1 hour energy bonus, I would like to be able to choose whenever I want to use it because sometimes I don’t have the time at the moment and then end up wasting it. Other than that I love it!! I totally agree with Andrew1519. No rewards for beating the level and now you have to play twice as long just to get enough coins to buy something. I love this game but am getting very discouraged. In my opinion, the levels are way too hard to beat. It takes a week to complete one room, and it costs an insane amount of coins for one item. The “hard” levels seem to be some of the easiest. I wish the game was a little easier so I could build rooms a little quicker. I’ll be deleting this game because it wasn’t at all what I was looking for. This was a great and fun game until the game started dragging and tasks take to long to complete. The initial cleanup is more than you score in two games and the choices are starting to look too cheap and bland or too expensive for the piece. I already complained and said I would probably just stop playing it when the same obvious moves are made to keep you from completion. It was fun while it lasted. So I just want to say to whoever created level 179, you’re a JERK! Overall the game is very therapeutic to me. The CONS would have to be the amount of tokens and tickets you receive after maybe spending days on a level and it takes too long to refill lives. Some of the levels are more challenging than others but I’m stuck on 179!